Dr. Tim Frazier, our favorite astronomy buff and president of the Magic Valley Astronomical Society, has generously offered to teach 4 nights of lectures and night sky viewing in 2018. “The Horse, the Maiden and the Queen” on November 13th brings this popular series to a close. Participants will start inside at 7:00 pm with the featured lecture. Then, weather permitting, we’ll move outside at 8:00 pm to observe “Oh Wow!” deep sky objects and other celestial wonders. Dress for the weather and bring binoculars or spotting scopes, if you have them! Space is limited and payment will confirm your spot. Cost is $10 for SBG members and $12 for nonmembers; children under 16 – Free. Click here to register. Who doesn’t love the glorious colors of autumn that bring summer to a close? 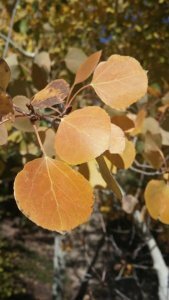 Jim Rineholt, retired Sawtooth National Recreation Area forester, will lead participants to several top spots for fall color. 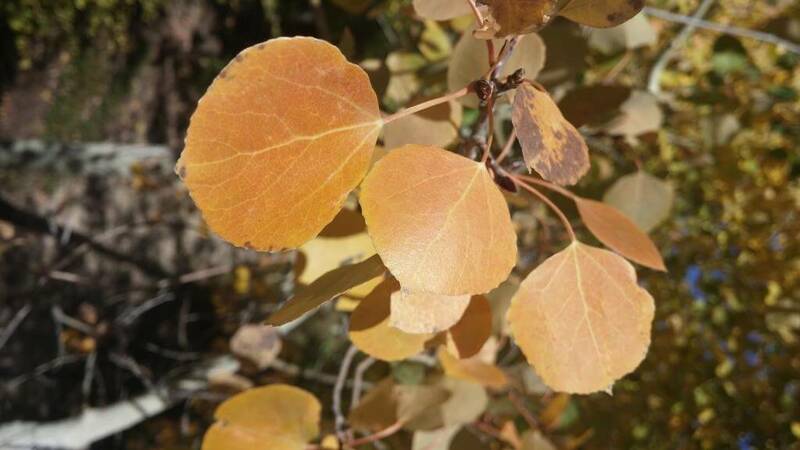 He’ll talk about the influences that cause leaves to turn color and why leaves turn the color they do. An appropriate conclusion to this year’s successful wildflower walk series. Wildflower Walks are free and happen rain or shine. Bring appropriate outerwear, sturdy walking shoes, water, sunscreen, hat and lunch. Some walks are appropriate for children age 7 years and older accompanied by an adult. Call if you have questions, but please leave Fido at home. Carpooling is encouraged to help lessen our environmental footprint. Donations to the Sawtooth Botanical Garden and INPS are welcome. This is part of the Sawtooth Botanical Garden’s popular summer wildflower walk series to some of our area’s most diverse and spectacular habitats. Hosted in partnership with the Wood River Chapter of the Idaho Native Plant Society. Meeting Location & Time: Meet at 8:30 AM at Sawtooth Botanical Garden (Highway 75 and Gimlet Rd./4 miles south of Ketchum). By some miracle a few huge trees in our area have survived myriad natural and human assaults – wildfire, drought, insects, logging and more. 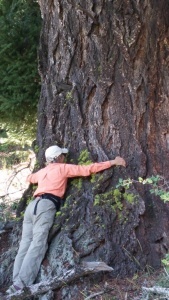 For John Shelley, retired US Forest Service range specialist, it’s become a personal quest to discover all of them, like the Douglas-fir in image. This year we will visit perhaps the largest Ponderosa Pine in our area. We’ll bring forestry instruments and measure its height, width and crown, and then submit our findings to the Idaho Big Tree Program. Maybe we’ll find a winner! 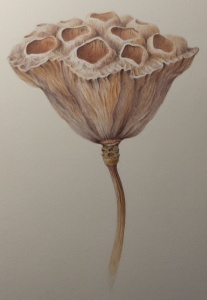 Laura Vogel of the New York Botanical Garden returns to teach an intimate, 3-day watercolor workshop. 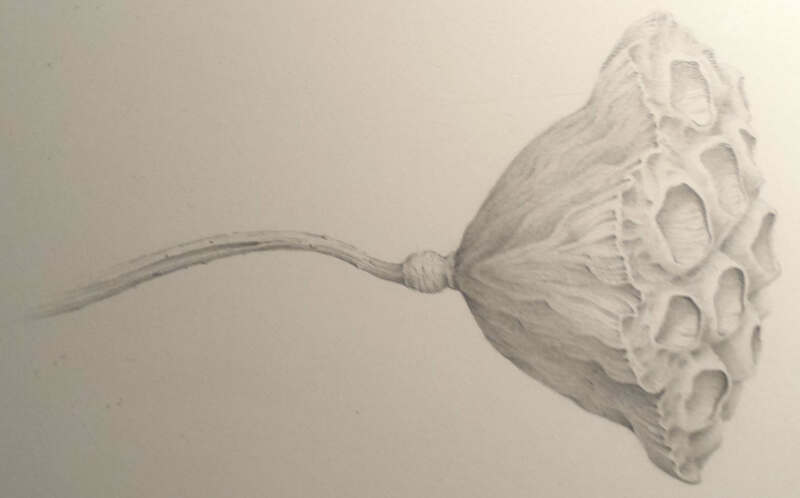 Day One: explore the tools of graphite and classical light on form. Day Two: color theory and applied techniques. Day Three: refine techniques with additional reference material or one’s own subjects. Suitable for both beginners and those who wish to refine their skills. The workshop will be held Tuesday-Thursday, August 28-30 from 10 AM – 4 PM each day. Cost: $375 SBG members/$400 nonmembers. Preregistration required; payment reserves your spot. Note: class fills quickly. Call 208-726-9358 to register. 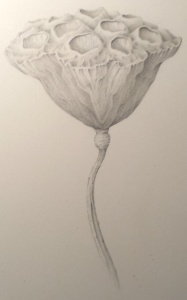 Instructor: Nationally recognized artist and popular teacher Laura Vogel has taught at the New York Botanical Garden for 21 years. 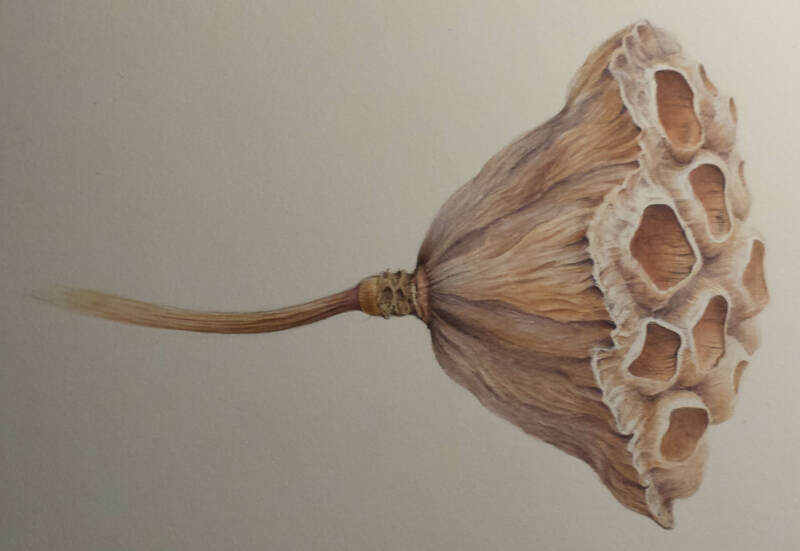 Vogel will also teach ‘Watercolor Weekend’ August 25-26 at SBG. Similar to story hour at libraries, Discovery Club is perfect summer activity for youth 4 to 8 years old. The hour-long programs are free and require no pre-registration to participate. Each session features engaging stories, fun activities and Garden explorations around an environmentally related theme, including Worms!, Insects in the Stream, Our 5 Senses, Favorite Flowers, Fruits and Seeds, Leaves in Autumn, The World of Roots and more! Discovery Club will be offered each Wednesday from 10-11 AM June 15-August 15. Dr. Tim Frazier, our favorite astronomy buff and president of the Magic Valley Astronomical Society, will offer 4 nights of lectures and night sky viewing in 2018. Family Night at Croy Canyon will be held August 12, starting at 9:00 PM. 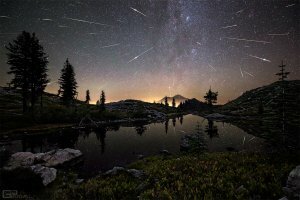 The Perseid meteor shower will be the evening’s highlight; participants will also enjoy “Oh Wow!” deep sky objects and other celestial wonders. Kristin Fletcher, SBG Education Director, will share lore about constellations visible with the naked eye. In case of bad weather, we’ll relocate the event indoors and feature cool astronomy activities for kids. Dress for the weather and bring binoculars or spotting scopes, if you have them! Space is limited to just 30 participants and preregistration and payment is required. Call 208-726-9358 confirm your spot. $10 Sawtooth Botanical Garden members/ $12 nonmembers; children under 16 – Free. 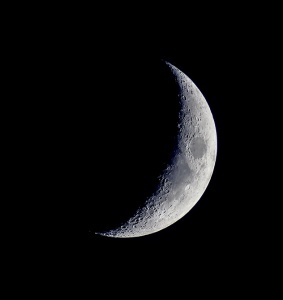 January 23, Tuesday – 7 pm: Finding your way with telescopes, binoculars and spotting scopes. 8 pm: Weather permitting, we’ll enjoy telescope viewing and constellation lore. May 22, Tuesday – 7 pm: Shoot the night sky with your camera or cell phone. 8 pm: Weather permitting, we’ll enjoy telescope viewing and constellation lore. August 12, Sunday – 9 pm: Family night at Croy Canyon; Perseid meteor shower will be a highlight. In case of bad weather, we’ll relocate to SBG and feature some cool astronomy activities for kids. Weather permitting, we’ll enjoy telescope viewing and constellation lore. November 13, Tuesday – 7 pm: The horse, the maiden and the queen – winter constellations. 8 pm: Weather permitting, we’ll enjoy telescope viewing and constellation lore. 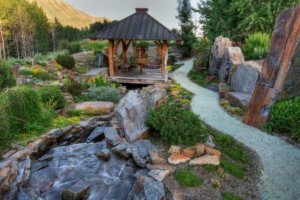 Sawtooth Botanical Garden will again offer free guided tours of the Garden of Infinite Compassion beginning on May 12 and running through September 29. Tours run from 10-11 AM and are suitable for all ages. SBG Education Director Kristin Fletcher or other trained interpreters will lead walks. The Compassion Garden was created to honor the 2005 visit of the Dalai Lama to the Wood River Valley and hosts a rare Tibetan prayer wheel, one of 2 of its size in North America. The beautiful prayer wheel was built by Tibetan monks and is filled with a million hand written prayers for peace and well-being. Designed by landscape architect and Zen teacher Martin Mosko, the many intentional features of the GIC have special meaning. The Garden’s message of peace and love bridges all faiths. It is truly a magical and serene place. The Sawtooth Botanical Garden was honored to be asked to house this remarkable symbol of peace and compassion on behalf of our community. SBG is located at 11 Gimlet Road, 4 miles south of Ketchum. Details at www.sbgarden.org or call 208-726-9358. If exploring beautiful meadows filled with abundant wildflowers is your idea of a great way to spend a Saturday, this wildflower walk is for you! Botanist Lisa Horton and friends expect to see 30-40 species of midsummer bloomers, including columbine, mountain bluebell, sego lily, penstemon, sorrel, paintbrush, lupine, wild onion and more. This is an exceptional opportunity to learn the fundamentals of realism, impressionism and abstraction from a master watercolorist in a small class setting. 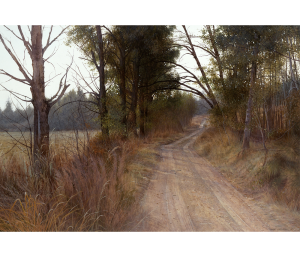 Learn how to explore landscape painting by choosing a paintable subject that matches ones skill level, technique, color, creating mood, understanding composition & design. Instructor: Stan Miller is an internationally known American artist. He has instructed workshops and juried art events around the world. He is a signature member and award winner with the American Watercolor Society. In 2015, Stan was first place winner in the Artist’s Magazine National Competition and in 2014 was an Award winner and participant in the World Watercolour Competition and Exhibition in Narbonne, France. He participated in the 2014 World Watermedia Exhibition in Bangkok, Thailand. In 2006 Stan was the Grand Prize winner in the Watercolor Magic Magazine National Competition, USA. In 2004 he as the First Place Winner in the Artist’s Magazine National Competition, USA. In 2002 he was an award winner at the American Watercolor Society International Exhibition in New York City. To learn more about Stan and his work, please visit http://stanmiller.net/. 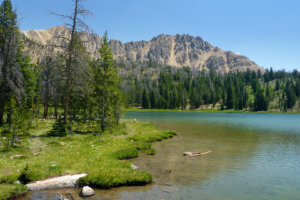 On this relatively short, high elevation hike to 4th of July Lake in the White Cloud Mountains, participants will truly experience Idaho’s spectacular mountain flora. Expect to see 30 species of wildflowers, including sego lily, penstemons, marsh marigold, elephant head, bistort, shooting star, mountain gentian, and more. 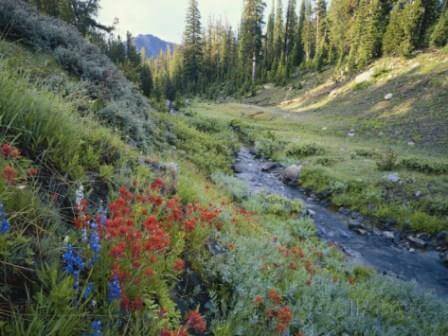 Wildflower Walks are free and happen rain or shine. Bring appropriate outerwear, sturdy walking shoes, water, sunscreen, hat and lunch. Some walks are appropriate for children age 7 years and older accompanied by an adult. Call if you have questions, but please leave Fido at home. Carpooling is encouraged to help lessen our environmental footprint. Donations to the Sawtooth Botanical Garden are welcome. Difficulty: Easy to moderate. 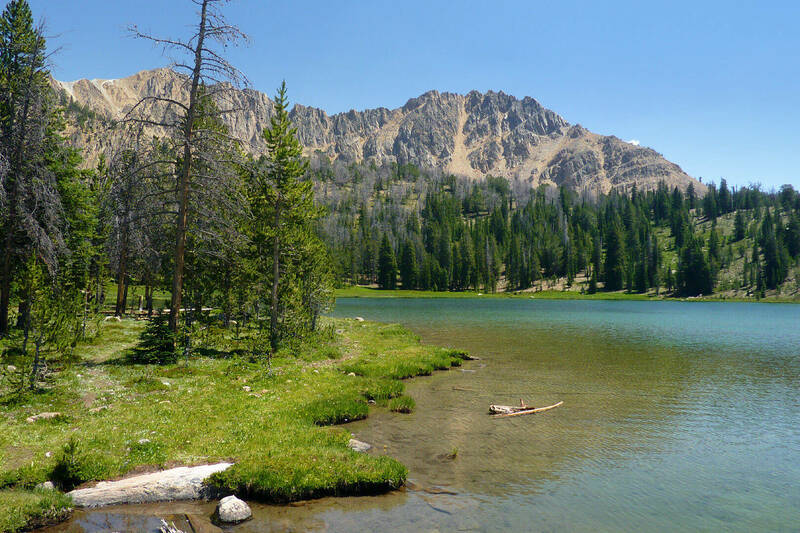 This 5 mile (round trip), high elevation hike starts at 8,400′ elevation. The lake sits at 9,400′ elevation. The Sawtooth Botanical Garden is a community resource showcasing native and cultivated plants that flourish at high altitude. The Garden connects people to the region's unique beauty and fosters environmental stewardship through education, events, displays and plant collections.